One of my pet hates is all those bank charges I accumulate on my credit card when I'm overseas. Not so much because I begrudge the bank for charging me for providing a service, but more because I faithfully enter every transaction into my Quicken accounting software when I get home and I hate having to enter, and then reconcile, all those little bank charges. Yep, laziness generally trumps all in my little world. So this trip, I got smart and got myself a Commonwealth Bank Travel Money Card, charged it up with €2,500 and said goodbye to all those bank charges. But then I was checking my account the other day and I noticed that I seemed to have handed over an awful lot of Australian dollars for those euros (the headline exchange rate was just over 0.7 euros to the Australian dollar at the time). So I got to checking a bit more and I just happened to have the perfect data set to do it with because in the same 24 hours that I had charged up my Travel Card, I had also taken out €1,000 in cash and used my credit card to pay for my accommodation in Rome. And I did it all with the Commonwealth Bank. So I did the numbers and here's how it worked out remembering that the headline rate in the news was between 70 and 71 euro cents to the dollar. Credit Card Purchase: 68.67 cents or more honestly 67.15 cents if you take into account that 2% transaction fee that I was trying to avoid in the first place. I figured that that was quite a range given that they were all from the same bank in the same 24 hour period, and to put it into perspective that lower exchange rate on my Commonwealth Bank Travel Card cost me $180 more than if I had just purchased things on my Credit Card. That's enough for 2 or 3 nights accommodation over here. So after I've exhausted my Travel Card it will be back to the good old credit card for me and I'll just have to put up with entering those silly transactions. At least I know that my bank is living up to its slogan though. Commonwealth Bank ... Yes, they Can. 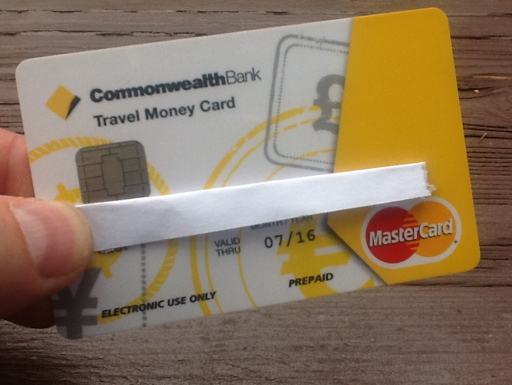 Labels: Commonwealth Bank Travel Money Card, good value or rip off? Yes, I've already heard about this service, even read several articles, but to be honest I do not really trust this bank, so I decided to find a more suitable option for me. After several hours of searching through the Internet I could find anything, but I was lucky that the banks open on saturday and I was able to solve my question. Indian banking, which was operating in a highly comfortable and protected environment till the beginning of 1990s, has been pushed into the choppy waters of intense competition. 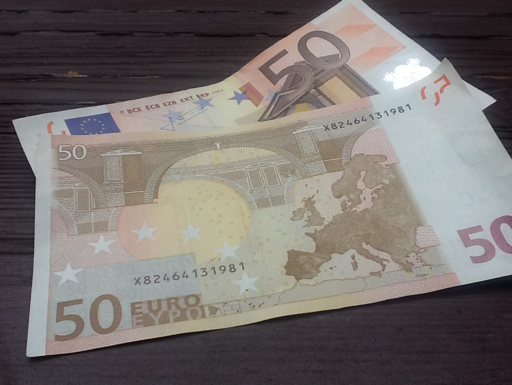 By and large, https://domoneyout.com/shop/usd-100-bills-high-quality/ it is prescribed that you trade Euro money to American money before you go voyaging. Definitions abound for the magical word 'tour.' When looking forward to your luxury travel vacation, do remember that the word 'tour' implies several different things. For one, a Tour Travel Hotels can be a guided trip that consists of a group of people travelling with similar aims. A package is usually termed as an offer that includes journey by planes, airport transfers, hotels, accommodation and vehicle or car rentals. Travelling with friends, family, and loved ones can be great, but the benefits of social travel are very different from the benefits of travelling alone. With the right mindset, you'll see how Movers baner alone is not only an incredible life experience- it's often a necessary life experience. Shopping in Dubai Thanks a lot for the blog.Really thank you! Want more. tiny travel trailers for sale wow, awesome blog post. Cool. Self-planned travel has really taken off in the last decade or so. More and more people are planning and in a blog post their own tours and skipping the traditional travel agents. What has led to this new self-planned travel phenomena? What are the benefits of this form of travel?